Well-known for its professional interior design service, as well as curtain fabrics, designer paints, and wallpapers, its new and much larger premises also offer ample free parking. 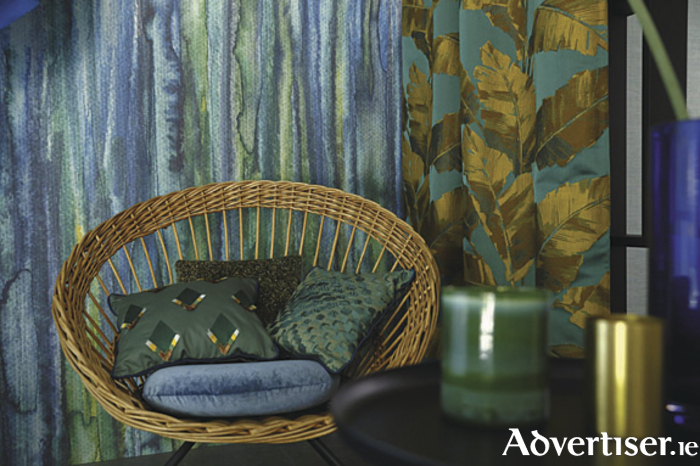 The store stocks one of the largest fabrics and wallpapers libraries in Ireland, with more than 50 names including Ralph Lauren, Armani, Zoffany, Pierre Frey, Casamance, Canovas, Larsen, Farrow & Ball, and Little Greene. It is the specialist in the west for curtains and blinds, as well as upholstery and bespoke sofas. For reupholstery and bespoke sofa orders for Christmas delivery the last orders are October 7, and November 4 for curtains, wallpapers and blinds. In the curtains and blinds fabrics section, customers will find Colefax and Fowler, Zoffany, Sanderson Nobilis, Elitis Braquenie, Mulbery, Ralph Lauren, Cole & Son, JP Baker, Nina Campbell, Osborne & Little, Arte, Flamant, James Hare, James Brindley, William Morris, Sanderson, William Yeoward, Lorca, Andrew Martin, Zinc, Voyage, and Diane von Furstenberg, among many more brands. La Maison chic offers a choice of more than 10,000 different wallpapers ensuring customers are guaranteed to find the one for them. As well as fabrics and wallpapers, La Maison chic stocks Farrow and Ball and Zoffany paints, along with the new Designers Guild paint range. La Maison chic specialises in upholstery and reupholstery service with its own quality fabrics. The store also offers top of the range custom-made sofas which can be covered in one of more 5,000 designers fabrics. Visit the Facebook page, www.facebook.com/lamaisonchic, for daily updates on trends, as well as competitions and special offers. This chic haven has been named as one of the best interior design shops in the country by many national interior design magazines.